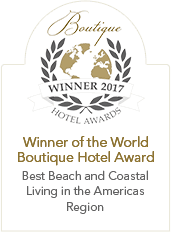 Fernandez Bay Village is so secluded, quiet and relaxing you may forget that you’re on a large Caribbean island with a rich history. Don’t miss the opportunity to check out Cat Island and it’s many unique attractions that take you on a trip back in time. We recommend renting a car if you really want to explore. Yet, for more leisurely excursions to the adjacent areas, a bike ride is also an option. A trip to the Hermitage is a must! Set atop the highest point in the Bahamas on Mt. 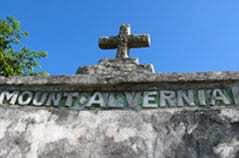 Alvernia, is a tiny monastery and chapel built by architect/priest Father Jerome in the late 1940’s. 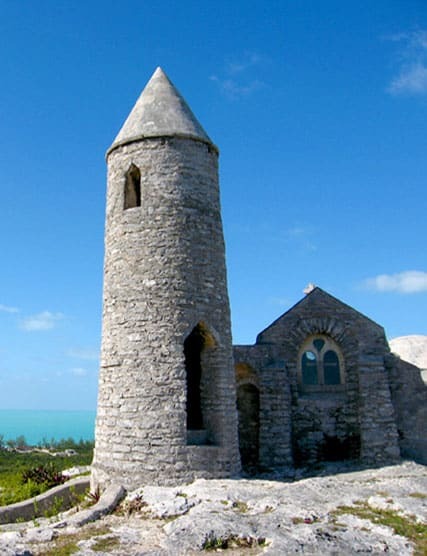 This short but steep climb rewards you with a panoramic view of the Atlantic Ocean on one side and turquoise waters of Exuma sound on the other. Complimentary beach cruiser bicycles are available from FBV. Maps and informative books for touring are available at the front desk. 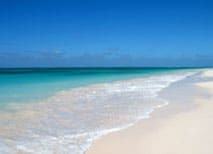 Beyond the private, crescent shaped white sand beach at FBV, there are miles of unspoiled pink and white sand beaches, easily accessible by car or bike for beachcombing to find the perfect shell, picnicking and being alone. Cat Island is full of culture and history, from Columbus’s first landing to the loyalist era, between buccaneers and rum runners, the Island invites you explore its rich past. To the north some points of interest include the Great Crown Cave at Dumfries, a safe haven in a hurricane, and the beautiful Anglican church, built with hand laid stone walls, in Arthurs Town, also the boyhood home of Sir Sidney Poitier. 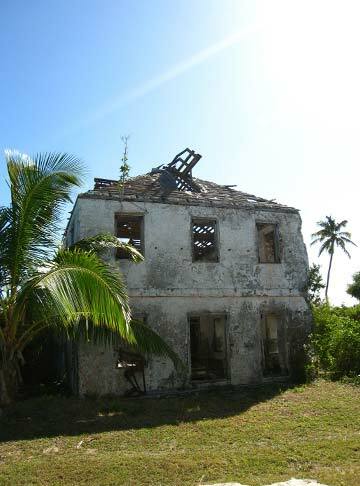 To the south from FBV in New Bight, you can visit the remains of Henry Hawkins Armbristers plantation house (at the base of Mt. Alvernia and the Hermitage). In Port Howe, you can visit the plantation ruins of Colonel Andrew Deveaux, the British commander-in-chief during the late 1700’s. Along the southern route you’ll see three churches built by the late Father Jerome; Holy Redeemer, (an active catholic church with service each Sunday at 11:00am), The Hermitage, and the St. Francis Chapel in Old Bight – for a peek inside, ask for the key at the front desk. Of the many blue holes found on the Island, The Boiling Hole is easily accessed by kayak or paddleboard from Fernandez Bay. Buoy’s clearly mark the path thru the meandering labyrinth of water trails in Fernandez Creek. Hidden amongst the lush mangroves that thrive in the shallow salty creek water, one can typically see Nassau grouper, bar jacks, snapper and lobster while snorkeling Boiling hole. 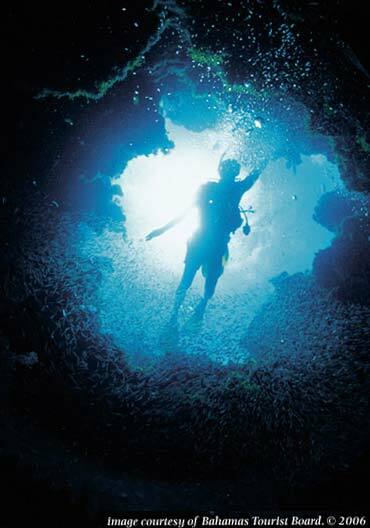 Other blue holes to visit on the island include, Big and Little Fountain, Mermaid Pool, Crown, Gaitors and the Bad Blue hole. The myths and legends of these perplexing inland, underwater cave systems cite tales of mermen, horse eating monsters and fabled underwater creatures.